What’s the one thing that all women want? It’s not jewelry or tickets to an event or even flowers (although all of the above are nice). No matter what else she may love, a woman’s top priority, practically a necessity, is finding a good bra. Now I have a hunch that men are quite naïve on this subject, but let me give you a reality check: the right bra is a make-it-or-break-it kind of deal, and it isn’t always so easy to come by. There are so many factors: color, pattern and bra straps are just a few. Personal preferences aside, these details also vary in terms of practicality. Bra color and straps vary depending on what shirt is worn over the bra. More important than those features, however, is obtaining the right cup and back size, as well as cup shape, all of which vary from person to person. When you are bra shopping, a salesperson can measure the you with a measuring tape, helping you find your size, but it is impossible to get complete precision with that simple technique. Luxury lingerie manufacturer Rigby and Peller, however, has developed a solution to this problem: a 3D fitting room. The invention works as follows: a woman walks into the fitting room, performs a complete turn inside, and within 60 seconds, the mirror takes 140 measurements of her body to give her unbelievably precise measurements. With that information, the client can find the items in the manufacturer’s collections that will fit her with the utmost accuracy and comfort. I am actually surprised that no one else has invented this idea earlier. Then again, if any company were to do it, I suppose Rigby and Peller fits the bill. After all, it is the lingerie manufacturer for both the Queen and Kim Kardashian. This concept may seem a bit excessive, a bit too detail-oriented, but in all honesty, I think it’s actually a great invention. As I said before, bras are a make-or-break kind of thing. 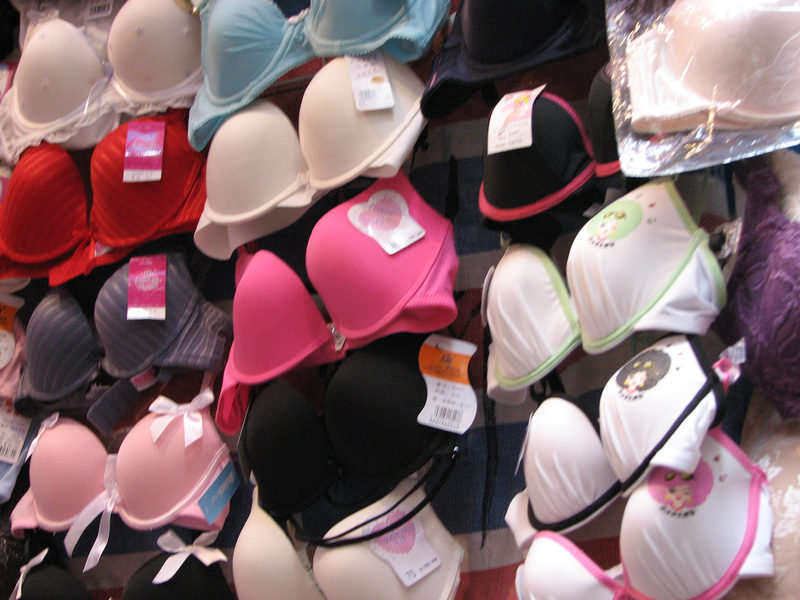 First and foremost, wearing an ill-fitting bra is very uncomfortable. It provides zero support, and can even cause harsh back pain. On another note, the right bra can truly act as a confidence-booster. Unfortunately, nearly every woman feels insecure about her body at one point or another in her life, and her bust is part of that. From wanting breasts that are bigger or smaller, pushed up or not, the list goes on and on. Wearing the right bra, however, is a simple solution that can make a major difference. It can help a woman shape her body type as she likes, all while providing her with comfort, thus helping her feel better about herself. Therefore, a 3D fitting room just might be worth your while. I, for one, would love to try out this innovation. It would be interesting to compare those results from the measurements I’ve received with a measuring tape. Plus, who knows what else you might learn about yourself? It seems like the 3D fitting room is linked specifically towards Rigby and Peller’s line right now, but give it a few years, and perhaps other lingerie designers will embrace their invention, too.